ISOFIX is a car seat fitting system that has been internationally standardised on most models of car manufactured since 2006. The advantages of using an ISOFIX seat are that there is a far lower risk of of them being fitted incorrectly and that they are much more secure – should you need to brake suddenly or have an accident, the impact to the seat is far lower than those secured with a seatbelt. 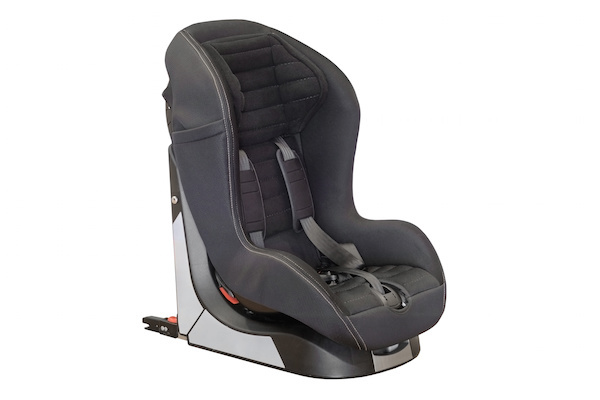 The system allows the child’s seat to be attached to the frame of the car via two metal ‘hoops’ that you will find between the seat and back support of the rear seats, thus eliminating the need for a seatbelt to secure it. In cars produced from 2013 onwards, they now include an additional third anchor point – either a top tether or a low level anchorage point, usually below the seat and fixed to the floor of the car. Does my car have ISOFIX points? Car models made since 2002 may have ISOFIX points, but these won’t be standardised, so check this before you purchase your seat. If you are not sure, check the labels between the back seat, or the manufacturer’s guide which will tell you either way! When hiring a car, ask the question to your provider. 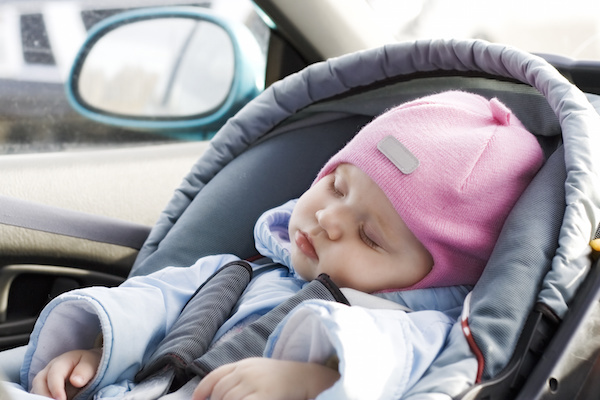 After a bit of research, it was found that whilst car rental companies may provide car seats, most of them refuse to fit them – a valid point from an insurance point of view you may say? (Why not simply have staff who are trained in fitting seats correctly and add this to the terms and conditions of the customers booking?!) Due to this complication, having universally safe and fittable ISOFIX seats seems like good sense to me? Sixt provide 3 variations of seat, none of which are ISOFIX. AVIS provide 2 variations of ISOFIX, but is dependant on location / availability. You need to state you’d like an ISOFIX one at time of booking, but can’t be guaranteed. Hertz offer three variations of seat but don’t guarantee ISOFIX – although all their European fleet are fitted with ISOFIX. THRIFTY offer three variations but standard seats only. AutoEurope, Holiday Autos, Rentalcars.com and Argus Car Hire are all third party companies and do not directly supply the vehicles. For this reason, they were not able to guarantee the type of seats available to hire, nor whether the vehicles would have ISOFIX availability in the car. From the 4 above companies that we were able to compare, the average cost came out at £27 for the rental of one seat for 7 days. In addition, we then included the costs from a few other large car rental providers and the average cost increased to £38.50 per week for one seat! We then compared this to the cost of taking your own seat with you on the plane and found that in fact, most airlines allow 2 free pieces of child equipment, including car seats, per child. It’s a no brainer really – our suggestion would be, if you are able to, to take your own ISOFIX seat for peace of mind! We do feel however that it would be a smart move from Car Hire companies to provide ISOFIX seats across their fleets as standard, especially those throughout Europe who all use the ISOFIX system, it will offer a standard level of safety to young passengers, no more being stranded at the collection point trying to fit your seatbelt secured seat (we’ve heard some horror stories!) and assurance that the seats will provide the safety it should.